One of the big players in that charge is Chief Customer Officer Naveen Agarwal, who views his role as connecting the dots of every customer interaction. Agarwal says the biggest challenge in customer experience, especially in the financial services industry, is that it is often organized by product because of how the business is managed internally. This creates a fractured experience for customers, who often have completely different interactions depending on if they are talking to someone in banking versus someone in the credit card department. Agarwal’s goal is to connect the entire ecosystem and not let management silos define the customer experience. Technology and data play a huge role in breaking down those silos. Before Agarwal could create a customer-focused strategy, he had to look at the data to understand customers. 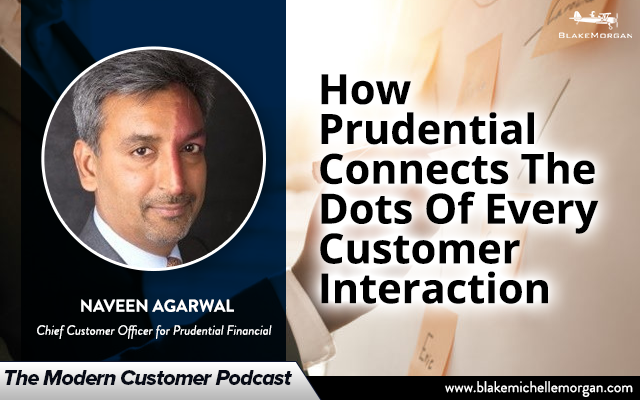 Prudential’s more than 300 websites and 40 call centers provided plenty of data about why customers were connecting with the brand and where they were in the customer journey. With a base understanding, the team could then improve those interactions with technology. « What Is Customer Experience Technology?